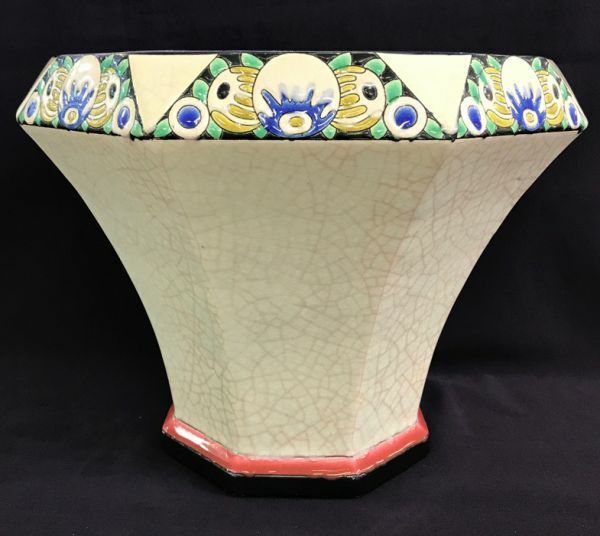 Art Deco Longwy jardinieres, French circa 1930. They are marked with the signature of Maurice Paul Chevallier (1892-1987). Chevallier was the Artistic Director of Longwy starting in 1925.